NOTES: This figure has been going up in value recently. There just aren't too many Keel Haul figures because there weren't that many USS Flaggs. The gun is especially hard to find. 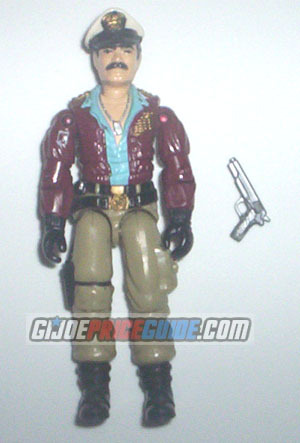 Watch for incorrect guns paired with this figure like Lifeline's gray gun. The Admiral also came as a mail order variant which lacked the patch on his right arm and had unpainted stars on his collar. I haven't found this variant to be rare. Grab this figure while you can if you want him in your collection.